Upcoming European poker-only gaming site Bitnplay hopes to change the way poker is played this coming Feb. 1 by throwing in a few tricks that can attract Bitcoin gambling enthusiasts from all over the world. Bitnplay calls the attention of those players who want to play poker more safely and anonymously as it improves the way it accepts funds from its players. The new method will take tournament buy-ins directly from a bettor’s Bitcoin wallet, deviating from the conventional deposit methods of established Bitcoin poker platforms. This process is good news for many as it intentionally aims at eradicating security concerns brought by moving funds from one’s bank to his wallet and to his poker account, and storing it in the latter. More importantly, this also enables poker enthusiasts to play without being required to pay any transaction or processing fees, which becomes a win-win situation for both the site and its users. Every token is equivalent to a 100% rakeback for life, and though each token can only be incorporated to a single account, it still can be traded and sold. Multiple tokens, on the other hand, signify a more prolific usage, especially for would-be affiliates, as these can be applied to other players’ accounts to gain revenue without having the need to play. Whether Bitnplay can match the prominence of established sites such as SealswithClubs with its initial offerings or eventually disappear in obscurity remains to be a mystery in the Bitcoin poker community. 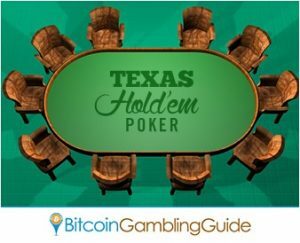 Early in its phase, it will only offer multi-table tournaments and games like Texas Hold’em and Sit and Go, which, based on this factor alone, hints that Bitnplay still has big shoes to fill. However, it cannot be denied that the European firm tries hard and tries well in creating a remarkable impression as it nears its launch next month.